Before last season, this was all a mystery to Andrea Jansson. Growing up on the fringes of Gothenburg, Sweden, Jansson landed in Edina in 2017, just before her junior year, when her father took a job in the area. An established tennis player in Sweden, Jansson had never before experienced tennis in a team format as it’s played in Minnesota. Armed with a power tennis game and a relentlessly sunny attitude, she won over her Edina teammates and was named a captain before this season. 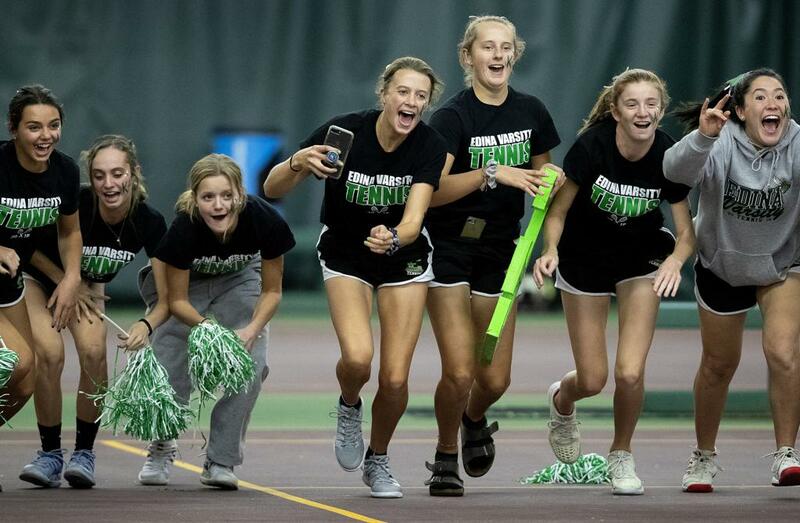 After Edina cruised past Minnetonka 7-0 on Wednesday in the Class 2A team final — its 21st championship in the past 22 seasons — Jansson can say she experienced the best high school tennis has to offer. Jansson, who plays No. 2 singles for the Hornets, made quick work of her opponent in the final, winning 6-0, 6-1 in her match at Baseline Tennis Center at the University of Minnesota. The early finish gave her a chance to discuss the experience of team tennis. It didn’t take her long to be accepted. Being selected a team captain for her second season showed that her teammates appreciated her. Jansson’s high school tennis career now includes two state championships, to which she’s contributed more than she ever expected.